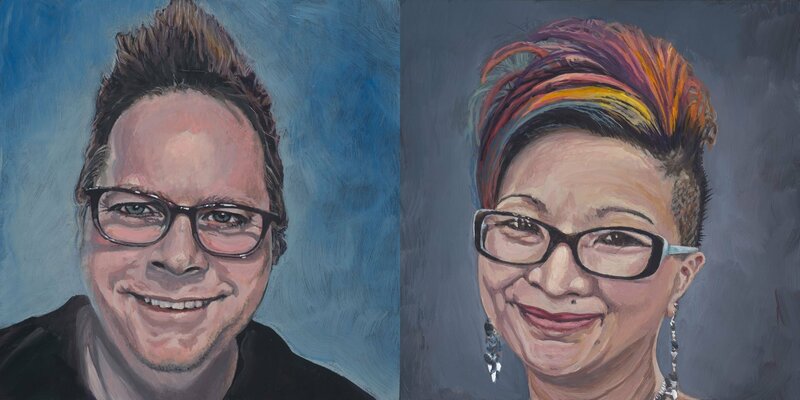 I asked Larry at Fine Art Printing to reshoot these portrait paintings of Tiff and I, because my shots didn’t accurately represent the originals. As you can see below, the new shots are much better. Thanks a bunch Larry & Tim. Glad to have your help.